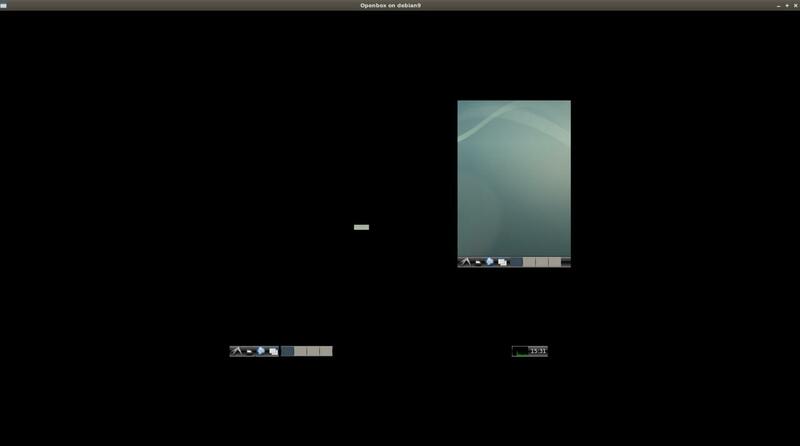 xpra tries to change resolutions, but the results does not match (X server vs. xpra desktop window). I would rather expect xpra not to change the resolutions at all. 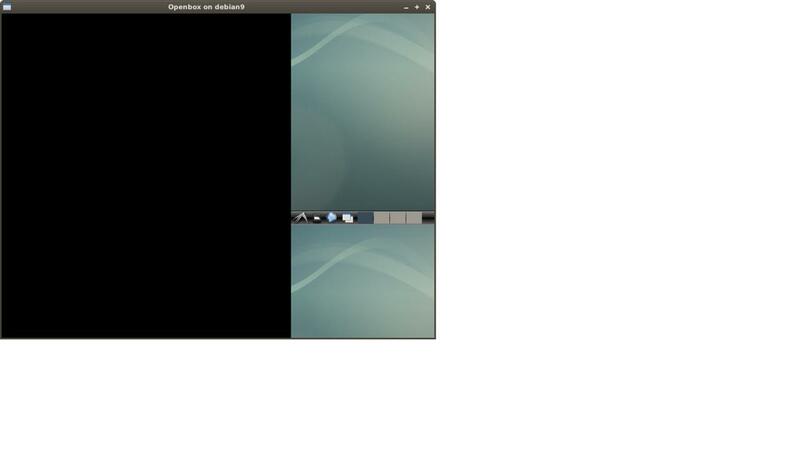 Instead, the xpra client window should match the resolution of the attached X server. xpraserver.log​ (21.0 KB) - added by mviereck 19 months ago. xpraclient.log​ (9.5 KB) - added by mviereck 19 months ago. fixed in r17117, please close if that works for you. I will check it as soon as it appears in your debian beta repository. The latest one is currently r17112. I did some tests and so far, all works fine! It seems xpra tries to set the maximum of 800x600 as the best choice, but failes with a wrong parameter (tuple) format. Creating smaller screen sizes works like a charm. Maximizing and de-maximizing the client window causes some mismatches, but that may be solved if xpra can handle the maximum screen size. The code searching for the closest match was buggy (318x(800, 600) is not a resolution! ), r17118 + r17119 should fix that. Can you try the latest build and report back? 2017-10-09 11:45:02,707 cannot find a temporary resolution for Xinerama workaround! Works fine: snapping back to greatest possible resolution (making client window too big). (But xrandr still shows this too-big resolution as available). De-maximizing client window: Unusable result. Desktop is misplaced, mouse events does not match display. Disabling and re-enabling OpenGL fixes that. Sorry, strange "2" in logfile may be my failure in my own logfile creation. Tested with xpra v2.2-r17120 on debian 9. Using Xwayland (800x600) as attached X server, there are similar issues with maximizing/demaximizing client window. The desktop appears at 0:0 instead of center of client window. I have to refresh the output in both cases (maximized/de-maximized). But the desktop is not misplaced after demaximizing as it stayes at 0:0. Xwayland is a bit itchy with xrandr. It seems to allow custom resolution modes without error feedback, but does not applicate them. The display size of Xwayland cannot be changed. 2017-10-09 13:53:11,155 cannot find a temporary resolution for Xinerama workaround! Note: Xwayland display size cannot be changed with xrandr at all. It has nothing to do with xpra. Same for dpi values, Xwayland does not accept changes. Using Xephyr as vfb is not a supported configuration, so I am not sure all these issues can be fixed. Why are you so interested in using Xephyr instead of Xvfb? FYI: as of r17133, this won't be logged anymore unless the window is actually resized and not just moved, I was finding that a little bit confusing. content is not refreshed well. De-maximizing client window: Unusable result. Desktop is misplaced.. Confirmed, will fix. The content offsets should be re-adjusted. The values shown there are straight from randr API, via ​XRRGetScreenInfo. r17135 tries harder to validate those values. If randr returns nonsensical values, there's not much we can do. How can I reproduce this reliably? Maybe xpra should check which resolution is really at work after xrandr settings are done. Wayland should not be making too much difference as this is all client side and we are somewhat shielded from it by the window manager and Xwayland. I don't use Xephyr in normal cases, it was just an easy and visible example for the first posting showing the different display sizes of X server and xpra client window. Most times I am using Xvfb or Xdummy. If I want GPU acceleration, I am using Xwayland as virtual frame buffer. In that case, with Xwayland as invisible frame buffer, I get the strange logfile values noted in comment 9. Some misunderstanding: it is about Xwayland as virtual frame buffer. My regular desktop is Xfce and not wayland-related. Resizing this client with LXDE desktop leads to the strange values of comment 9. xrandr still shows the right resolution. The same setup with x11docker (showing xpra logfile, too) is x11docker --xpra-xwayland --desktop --verbose --exe lxsession. I have to re-check this; sometimes the desktop is redrawn immediatly, sometimes it stays black until I do some actions/mouse events to redraw parts of the desktop or all of it. Having the exact command lines to use makes a huge difference, I get it now. r17140 detects Xwayland (or any other vfb without usable randr support) and will not allow the window to be resized. For older versions, we now just bail out: r17141. There's probably still a bug in xpra when the window is somehow resized anyway (the size constraints are only hints and the window managers can still overrule them), but since it should no longer be possible to trigger this particular bug using a regular setup, can we close this ticket? Why do you set this option? It should be the default on all supported platforms. Always use xpra start --start=lxsession instead, to ensure that the environment is correct and that the command doesn't die if the terminal it is started from does. This works fine so far, except for maximized windows, see below. We can close the ticket if you like to; the bug appears only if the vfb X server is smaller than the client window and cannot be enlarged, a rather special case. 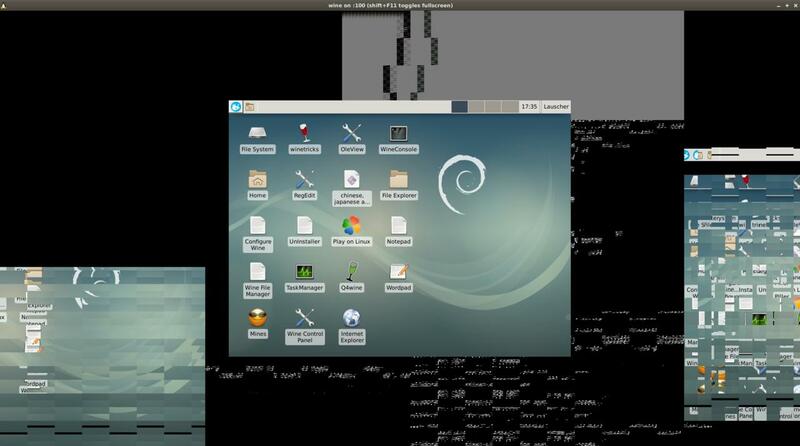 Maximizing windows enforces the bug to appear, and tiling window managers likely, too. Why do you set this option? Sorry, not needed actually; it is a relict from ticket #1469, I always set this for backwards compatibility. It could be good to have an obvious "refresh" option in xpra tray menu. Is everything well if I just set this myself in container environment? If that works for you and this is the last issue, please close the ticket. I'm not 100% sure what you mean here. You can tell xpra to set environment variables, see --env=KEY=VALUE and --start-env=. You can view the default values it will be using for child processes with xpra showconfig. I believe that this case has now also been fixed in r17150. I still have xpra v2.2-r17140 and cannot test r17150 now. 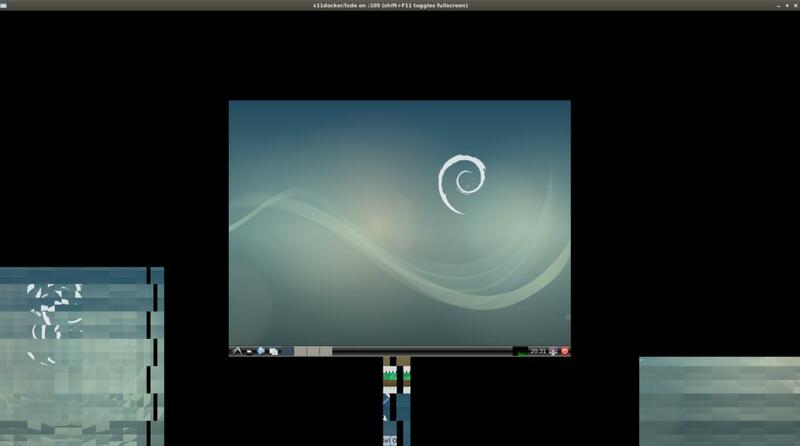 I will check as soon as it appears in debian beta repository, and report back if there is still an issue. So far, I will close this ticket. That's just about docker, it isolates applications from the host similar to a virtual machine. I cannot set variables or start applications directly, I have to do that inside the isolated container. xpra runs on the host, but the applications in the container, and their only common workplace is the X server. I am now parsing xpra showconfig, thank you! It is a bit tricky as the comment values contain special chars , and ', but I made it. Maybe it is already fixed in r17150. You must have an old configuration file laying around. This value is not present anywhere in the source tree. You are right; I did some compatibility tests with older xpra versions and got and outdated config file. I found different behaviour between Xvfb and Xdummy. While I can change the client window seamless to arbitrary sizes in Xvfb, I am bound to already defined modes in Xdummy. The client window snaps to the nearest matching size already defined/visible in xrandr. Though, Xdummy accepts custom arbitrary sizes/new xrandr modes and could be seamless like Xvfb. Not a problem, just less flexible behaviour than with Xvfb. That's a know limitation of Xdummy, see #56 for details. This may be resolved if the desktop is always placed at 0:0 of the client window instead of being centered. Changing the client window size fixes this. I have tested with three window managers (xfwm4, kwin, openbox), everywhere the same results. Another minor issue: With Xdummy providing display sizes smaller and greater than a maximized window, and I maximize xpra client window, xpra chooses a display size greater than the maximized client window. The egdes of the desktop become hidden as it is too big to be shown completly. xpra should rather choose the next smaller display size. Some of the maximizing issues you encountered may have required specific client and vfb screen sizes to hit, so I am not 100% this is all fixed, but r17164 fixes the ones I managed to reproduce. If you still hit some problems, please include the "-d randr,geometry,screen" debug output of both client and server. xpra should rather choose the next smaller display size. r17165 does that (this might have been a regression caused by some refactoring). I am not sure if these two fixes will be backported. Do you mind creating a new ticket about the clamping of clicks to the edge of the desktop? With r17165, most things work quite well, and I always get a usable, full visible and well redrawn desktop regardless of my attacks against the client window. I had to maximize about 5 times until I get the fragments. I made screenshot and logfile copies immediatly after appearing of fragments. r17167 should now repaint the padding around the central paint area. This code only runs when we have an offset, which happens mostly when running desktop mode with fullscreen or maximized windows. Looks like the changes in r17164 caused a regression: #1659. The current xpra debian package name ends with r17168, but xpra --version shows xpra v2.2-r17160. Setting XPRA_PADDING_COLORS=0,0.2,1 has no effect. Sometimes I still get fragments in the black area. Maybe something went wrong in packaging? I must have misconfigured the buildbot, sorry. Just tested in a Stretch VM without opengl, and I do see the colors I set. Then maybe you're not really running r17167 or later then. There are newer beta builds now. The regression has been fixed: ticket:1659#comment:4.